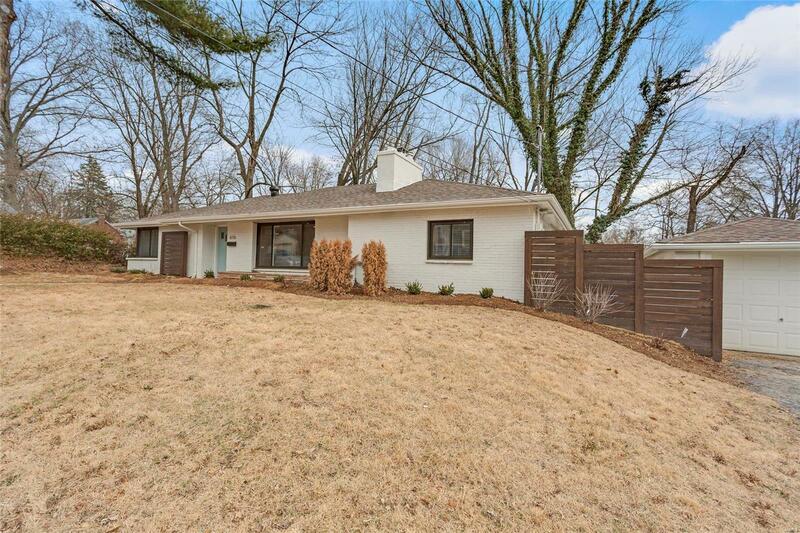 Donât miss this beautifully renovated mid century modern in beautiful Crestwood. No stone was left unturned on this one. New framing, new electrical, new plumbing, new windows, new stainless steel appliances, new HVAC. Move in with peace of mind that this home is ready to enjoy for many years! You wont be able to miss the beautiful chefs kitchen with granite countertops and Edison bulb light fixtures! You will be the envy of the neighbors with your backyard oasis featuring an inground pool with new liner, pump, and filter! Large corner lot almost 1/4 acre! Custom LED can lighting throughout! Minutes from all that Webster has to offer with dining, shopping, parks, and bike trails. Dont forget Lindbergh schools! The list goes on and on! Priced to sell this one wont last long!